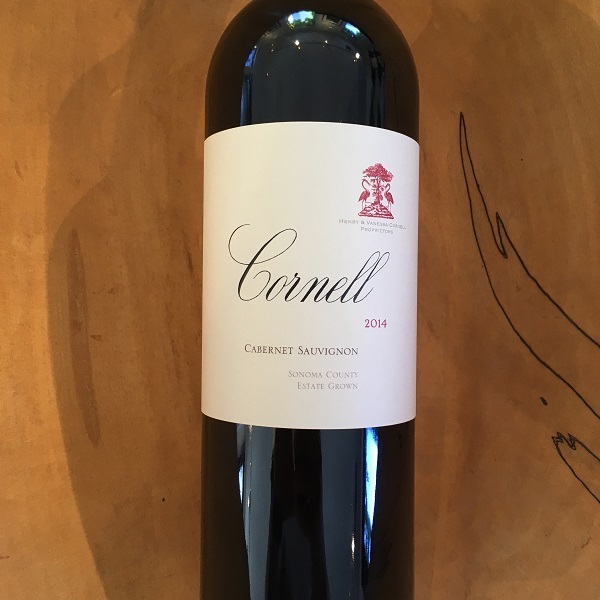 Overlooking the Pacific Coast to the west and nestled high in the Mayacamas Mountain range, Cornell Vineyards is just past Vineyard 7&8 and Pride Winery. Unlike any property I've been to, this property revealed 180-acres of pure, untouched beauty with an additional 20-acres of meticulously farmed vineyard. 2014 marks the second vintage for Cornell and is made by Graham Wehmeier and Francoise Peschon (of VHR, Accendo Cellars, Drinkward Peschon and formerly of Araujo Estate) and it is even better than their debut 2013 vintage. "The deep, inky violet color gives the first hint of the mountain-derived intensity in the glass. Signature notes of Cabernet Sauvignon emerge in the aromas: plum, boysenberry, violet, cassis, cedar. Even more compelling are the undertones of cocoa, mandarin orange zest, jasmine blossom, sage, and other fresh herbs. The interplay of juicy acidity and fine-grained tannin characterizes the palate, one supporting the other as the wine unfolds seamlessly from entry to extended finish. Irresistible freshness and vibrancy suggest a degree of approachability unusual for such a wine in its youth, while the underlying structure leaves no doubt about the suitability for long-term cellaring." 642 cases were made.